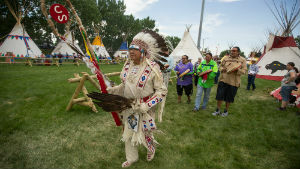 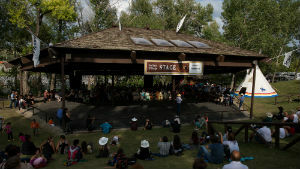 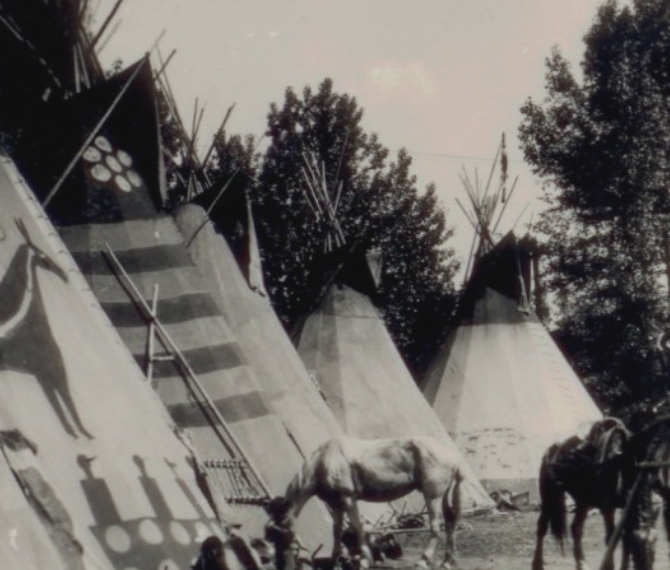 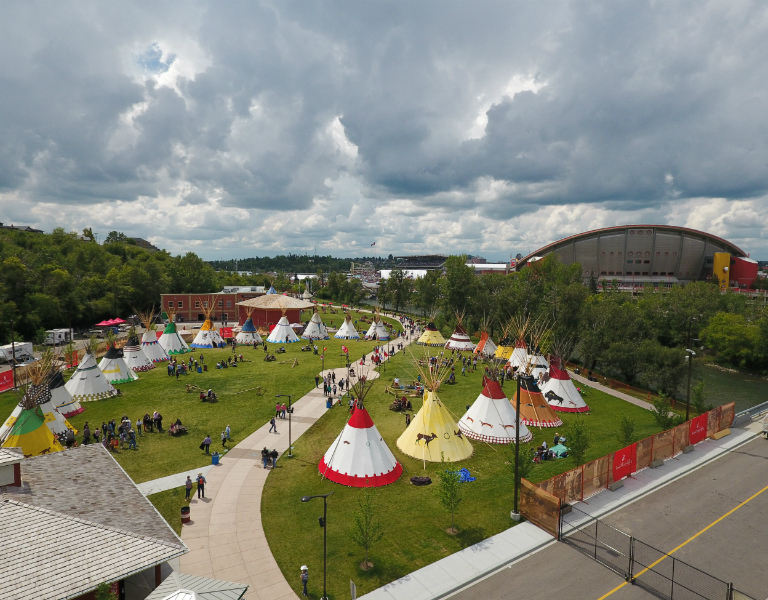 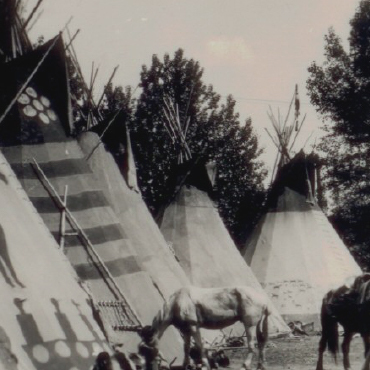 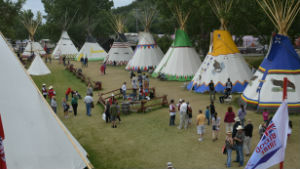 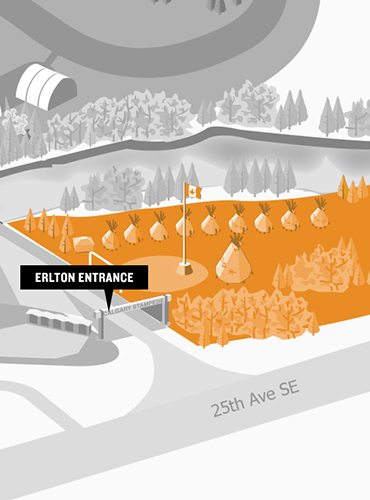 Elbow River Camp has been a major part of the Calgary Stampede since the inception in 1912. 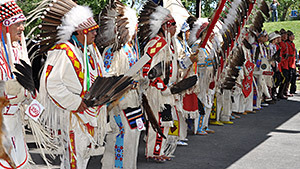 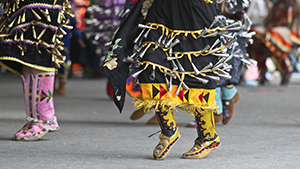 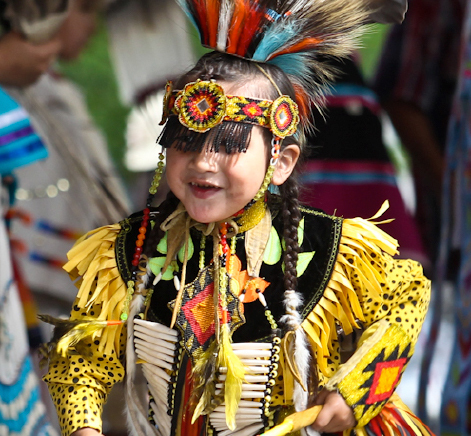 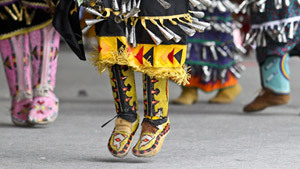 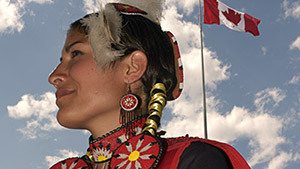 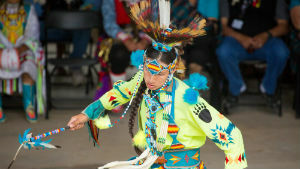 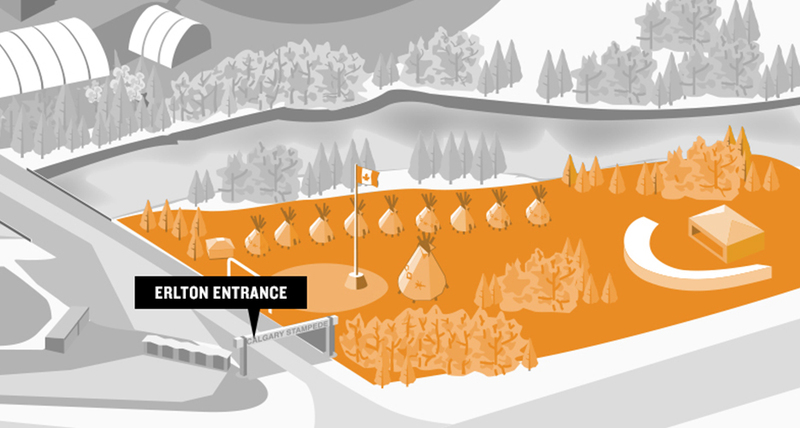 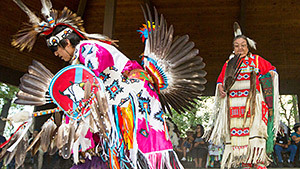 It's a great way for visitors to experience the traditions and culture of Canadian First Nations firsthand. 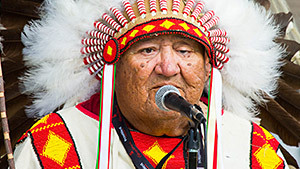 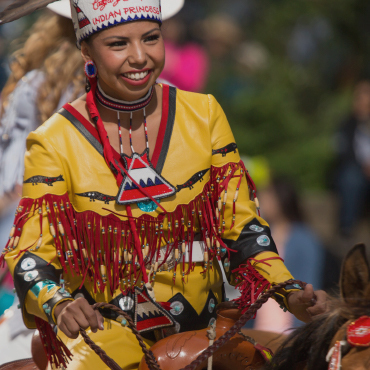 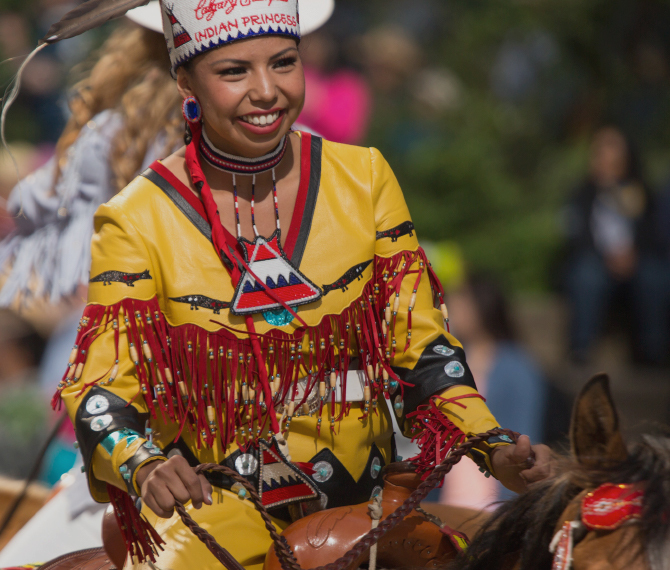 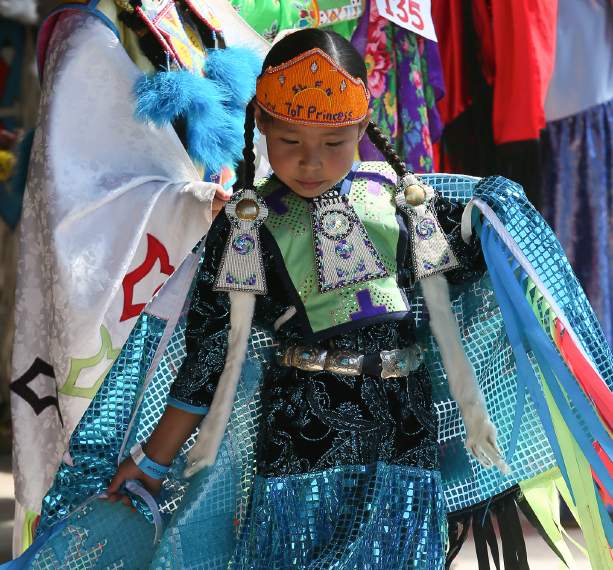 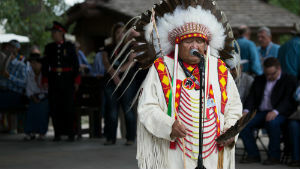 For over 100 years, Elbow River Camp has promoted and preserved the relationship between the Calgary Stampede and Treaty 7 families. 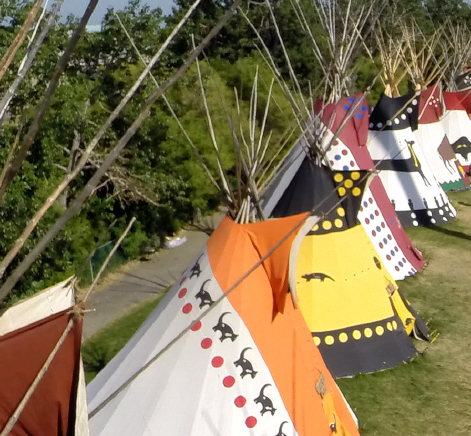 The 26 tipis represent the five nations of Treaty 7: Kainai, Tsuut’ina, Stoney Nakoda, Siksika and Piikani. 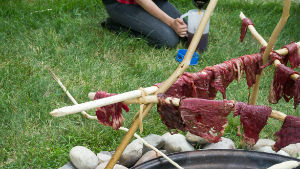 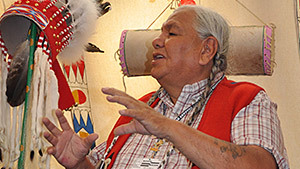 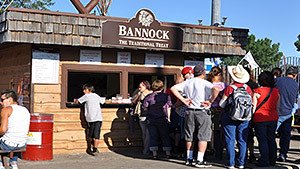 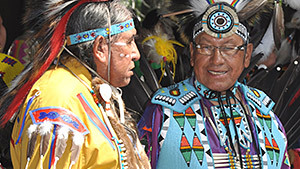 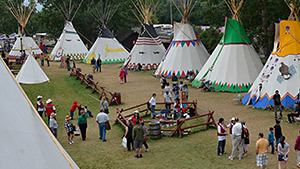 Each tipi has a unique design on the outside and beadwork, buckskin outfits and artifacts are displayed on the inside.